More than 100 workers who forge essential components used on aircraft, drilling rigs and ships at the Jorgensen Forge Corp. plant in Tukwila, WA, have voted to join IAM District 751. By a 3-to-2 margin, workers who forge essential components used on aircraft, drilling rigs and ships have voted to join Machinists Union District Lodge 751 in Seattle. The vote affects more than 100 hourly workers at the Jorgensen Forge Corp. (JFC) plant in Tukwila, WA. The National Labor Relations Board must still certify the results. Once that happens, the union will contact the company to request dates to start contract talks. In the meantime, the IAM will continue surveying members to determine their priorities for their first union contract. 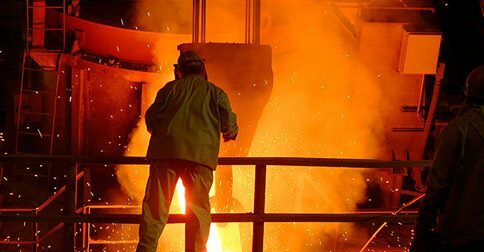 The JFC workers are specialists who forge everything from propeller shafts used in ships and submarines to parts used in the aerospace, maritime and drilling industries. Their products are created from stainless steel, aluminum, titanium and other metals.